Broadway dance history is an impressive story to not only those heavily involved with musical theatre, but also to those just beginning to discover the magic of dance through full-length stage productions. For almost as long as there has been theatre, there has been dance within the theatre. The ancient Greeks incorporated dance into many of their plays, and while it was a style far from what we see today in the grand venues of New York, dance still captured audiences way back when. 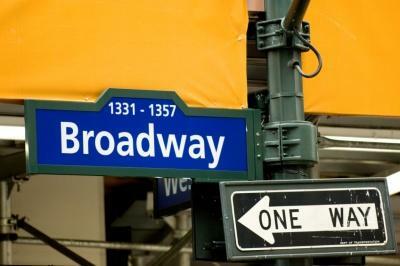 Broadway as we know it today began in the 1900s, where it was just beginning to make an impact in New York City culture. It was flippantly disregarded by critics and more "serious" theatre goers, as its themes were far from reality with a whimsical feel. These early productions were targeted at middle class New Yorkers itching for some entertainment, and they often found it with front row seats costing a mere $2.00. Even before the turn of the century, Black Crook - regarded as the very first Broadway musical, opened to a curious crowd just discovering the interesting fusion of ballet with dramatic acting. George Balanchine was one of the earliest recognized choreographers of Broadway dance history, having created the 1936 edition of Ziegfeld Follies. While Balanchine handled the ballet aspects of the production, it was another choreographer - Robert Alton - who brought forth the first modern dances, which still closely resemble many pieces performed by New York stage dancers today. The intrigue with Broadway dance came from the fact it was the first time dance was showcased as part of a story plot. Before the 1930s, dance was its own separate entity, and the generating of storytelling whimsy through both bodily strengths and vibrant personalities was truly captivating. After Balanchine, those trained in theatrical art dance began to try their hand at choreography. Gower Champion is one notable choreographer who won a Tony Award for his impressive dance theatre contributions in 1949. These more unconventional creators of musical art were known as "gypsies" within the theatre world, and soon they were dominating the market with their imaginative ideas and successful productions. Many consider the greatest gypsy of all to be Bob Fosse, who developed a new style of Broadway dance that is still cherished and upheld today by many theatre troupes around the world. He revolutionized Broadway dance history by creating unconventional movements and creatively using body parts in ways never attempted before. Today the Fosse style is most easily recognized by his immortal usage of props, - canes, top hats, and gloves - and is also noted for its provocative approach to the arts. Fosse didn't shy away from incorporating sexuality into his routines, and this is especially noted in famous pieces found in plays such as Sweet Charity and The Pajama Game. Within the last 10 to 15 years, dance continues to dominate the Broadway scene. The late 1990s brought us Bring in 'da Noise, Bring in 'da Funk, which is regarded as one of the biggest dance musicals since Fosse's final creations from the 1970s. Classic musicals such as West Side Story and Chicago continue to be replicated in smaller scale theatres all across America and abroad, while Broadway itself continually stages revivals of popular Broadway hits from the past. It seems there has been an audience from every generation since the turn of the century who enjoys the pep and pizzazz that can only be created with Broadway dance numbers. Broadway dance history is continually being written as up and coming choreographers follow in the footsteps of past greats, creating and discovering new styles for an old favorite.